Zhuang Zi was a brilliant philosopher and strategist who lived in ancient China. His abilities were many and several rulers sought his services. One of them, King Wei, sent his courtiers out to Zhuang Zi’s pastoral home to invite him to come to Wei’s court and be the leader’s chief counselor. They found him there fishing by the river bank. 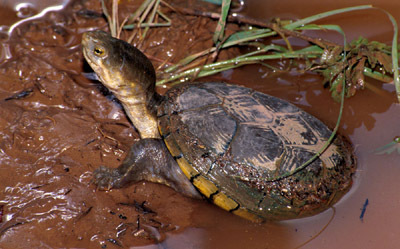 The courtiers responded that, of course, the turtle would be happier in the mud.